PEPLUM TV: Semiramis - the forgotten PEPLUM icon! Whatever happened to the Semiramis mystique? What's remarkable about Semiramis is how few films were made of her legend. I haven't seen the silent film on the left. It looks interesting but it was made over 100 years ago. Trying to find it is probably impossible outside of certain cinematheques. The legend of Semiramis is quite fascinating. Both of them. Yes, there were *two* famous ladies named Semiramis in Antiquity : one who is associated with Nimrod, the Tower of Babel and their son Tammuz, which dates thousands of years in the past. And the other famous Semiramis, an Assyrian queen who was married to Ninus, with the approximate dates going back in and around 820 BC. I prefer the first Semiramis, the Goddess who was married to the builder of the Tower of Babel, Nimrod, who, after his death, was reincarnated as the sun and made Semiramis pregnant with sunlight. She eventually gave a 'virgin' birth to the god Tammuz, who, after his death, was resurrected and lived in the heavens with his father Nimrod. Therefore Semiramis was known as the Queen of Heaven, for having given birth to Tammuz and the heavens. It would take too much time to explain the whole story. You can find several websites about this with a quick search on the internet. Some say it echoes the story of Christ. This Semiramis is apparently the inspiration for the Statue of Liberty and the Columbia Pictures lady. 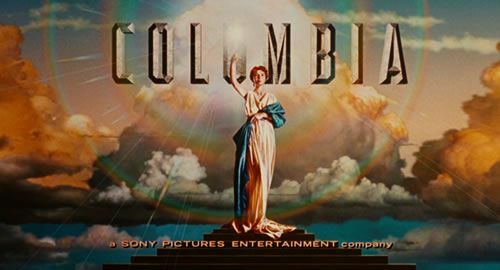 The torch of light of the Statue or the Columbia logo are symbolic of the sun god Nimrod. Very little information can be found on this legend but what information we have says a lot about us and the period. Aside from the silent film mentioned above, there are only two other full feature length films made about Semiramis. Unfortunately, they have very little to do with the actual legend. Released in 1954, QUEEN OF BABYLON has nothing to do with either legends of Semiramis. It's in name only. It's still a very entertaining PEPLUM but it is disappointing very little of either famous Semiramis made it in the final production. The only thing that's identical is the fact that it takes place in Babylon. This film has elements of both legends but like the previous film, the final product has very little to do with the historical facts of either famous women. There's no Nimrod or Tammuz. And the ending is nothing like either stories but the filmmakers were inspired by some ideas, including Semiramis wearing a crown of spikes, or rays of the sun (like the Statue of Liberty), and the king being named Ninus. But these are just superficial aspects. It never goes deep into the actual legend. I like this film regardless of the fact that it's not about the actual Semiramis (legends number 1 or 2). 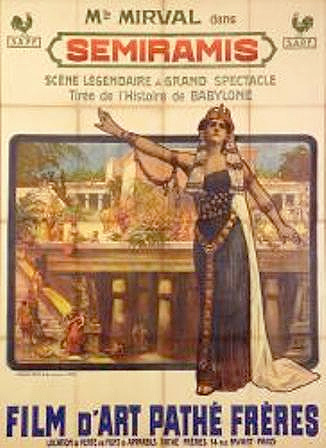 A film based on the legend of Semiramis has yet to be made. It probably will never happen since few people remember her, including the folks in Hollywood. Thanks for this most interesting and first rate historical research.